Nicole is an Insurance Agent at Custom Insurance Agency and helps individuals and businesses with their personal, commercial and life insurance needs. She has a true passion for helping people make sure they are properly protected while still maintaining competitive rates. Nicole moved from Orange County, California to Michigan over twelve years ago. 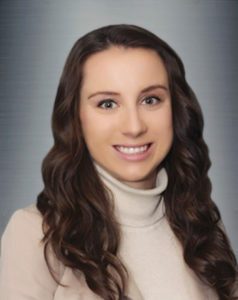 She graduated from Walsh School of Business in 2014 with a Bachelor’s Degree in Finance. Nicole has been a member of the Sterling Heights Chamber of Commerce since 2017 and recently joined the YoPros Steering Committee this year. She currently resides in Shelby Township and enjoys spending her free time with her family, friends and her dog Max. Nicole also volunteers for her church and non-profit organizations such as Kids Against Hunger.